Bold Colors, Fresh Flowers and Much More!!! Bold colors with a hint of light shades can come together really. 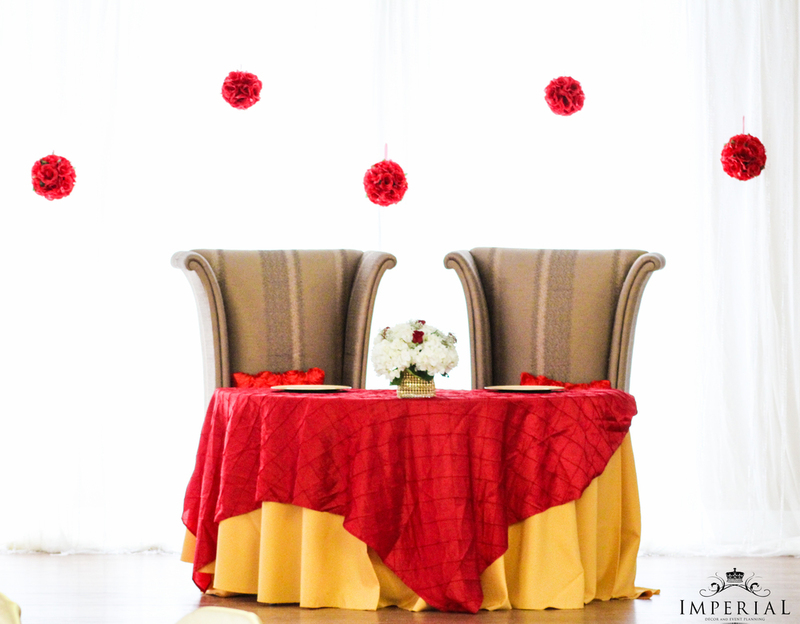 This event focuses on bright red and gold colors that were put together for this beautiful 50th wedding anniversary in Potomac, Maryland. On the stage is a 16-foot fabric backdrop with hanging crystals and frames on it. The furniture includes gold carved chairs with red cushions on it. “Till Death Do Us Part” ~ these are not just wedding vows but are a reflection of true love. We regularly take part in celebrating two young souls committing to spend the rest of their lives with each other, but we rarely get to celebrate with the couples that actually make it happen.